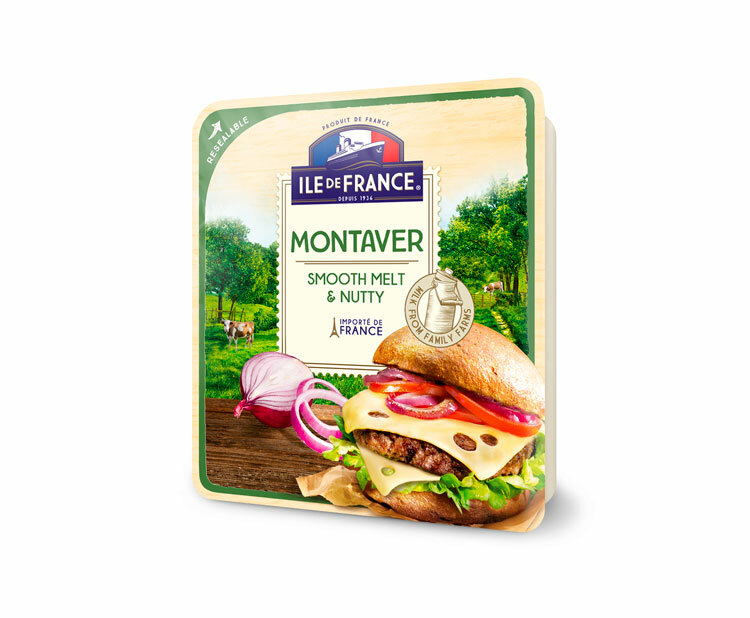 The Ile de France Montaver slices are distinguished by their fruity taste and their holes. As a result of a combination of specific ferments and a delicate pressing, the Montaver slices reveal a unique flavor and extra-melting texture when heated! Sweet fruity taste. Extra melting texture when heated.